PACCSA recently sponsored two very successful trail clearing events. 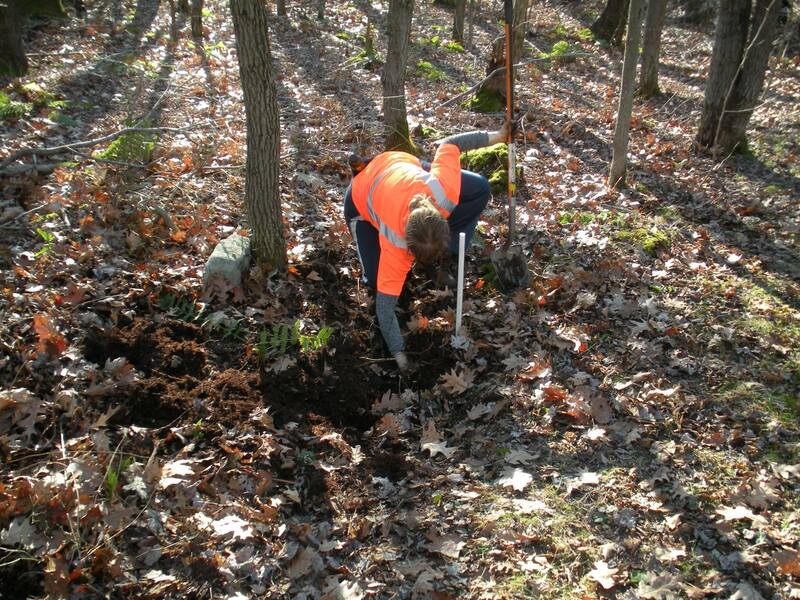 On November 6th, twenty-five PACCSA volunteers helped ready the Laurel Mountain ski trails for the 2015/2016 ski season. Although the sun hid behind a thick blanket of clouds, it remained dry and warm enough for a pleasant day of trail maintenance. Afterwards, everyone was treated to the PACCSA Picnic which included hot chili, fixings for gourmet sandwiches, salad, chips, and a plethora of desserts. The best part was catching up with old ski buddies, as well as meeting a bunch of new faces to PACCSA. Everyone had such a wonderful time that PACCSA has decided to repeat this event next year! 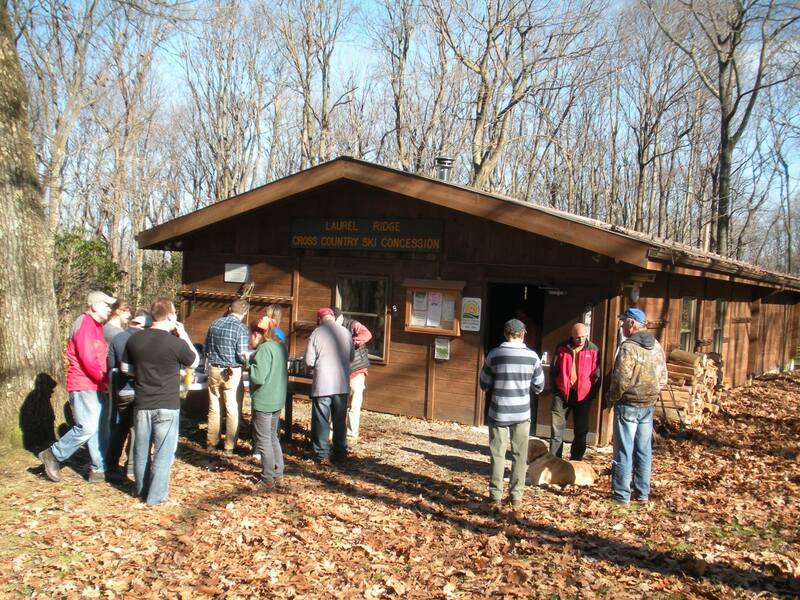 On November 14th, seventeen PACCSA volunteers attended the annual Laurel Ridge trail clear. For the second year in a row, PACCSA teamed up with the Laurel Ridge XC Ski Center Concession to make sure that the trails were ready for the first snowfall. It was an idyllic day for a trail clear, with warm temperatures, clear skies, and plenty of sunshine. Much was accomplished, including stacking firewood for the warming huts, clearing out the various drains along the trails, trimming back invasive saplings, and generally clearing the trails of fallen debris. Everyone who participated received a free trail pass for the 2015/2016 season, and many won gear raffled off by the Ski Concession. In addition, grill-meisters Andy and Erica Smith served up a hearty lunch of homemade soups, hotdogs and chips for the volunteers. All we need now is snow! PACCSA thanks everyone listed below for helping to get the Laurel Highlands ready for the upcoming ski season! Beth Beech*, Mike Blessington, Ed Castor, Bruce Cox, Norb Duritsa, James Fenn, Kate Fissel, Scott Hamley, Joshua Hamley, Dave Helwig, John Hill, Alan Hough*, Anita Houston, Naomi Jarvis*, Brian Joly*, Jim Logan, Joanna Margaret*, Dan Martt, Denny McDonough, Megan McGee, Bill Meloy, Poly Meloy, Sophie Meloy, Charlie Nash*, Christina Price*, Jerry Seitz, Sally Smales*, Judi Speck, Jim Sota, Jim South*, Matthew South, and Traci Torrence*. * indicates attendance at both trail clears!